We have visited several of the Hebridean islands over the years but the aim of this trip was to visit St Kilda, an archipelago that lies 45 miles west of the Outer Hebrides and was once the most isolated community in the UK. 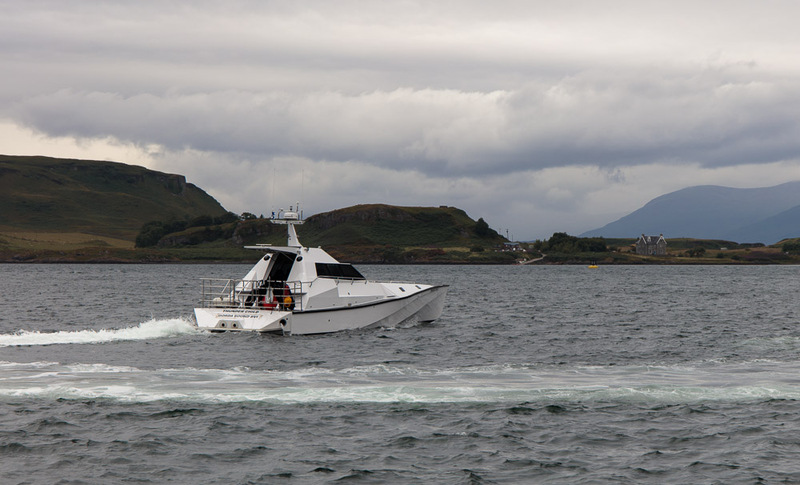 After taking the train to Glasgow and then to Oban, we arrived in the afternoon to find our ship. 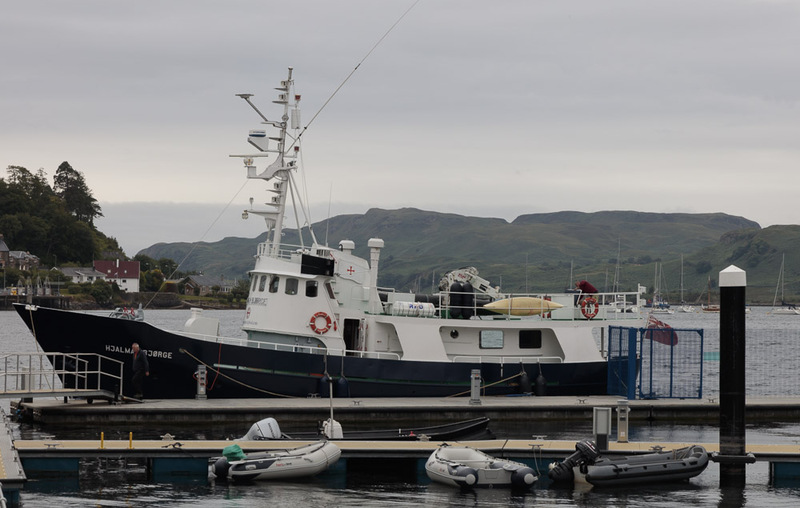 The Halmar Bjǿrge, is a former Norwegian Rescue ship, adapted to carry twelve passengers and four crew and is operated by the Northern Light Cruising Company who offer a variety of trips around the Hebrides. Just before we pulled away from the pontoon at 4pm, a speedboat passed us. Our skipper told us that it was heading for the British Virgin Islands, had won some record and was owned by someone from Google. 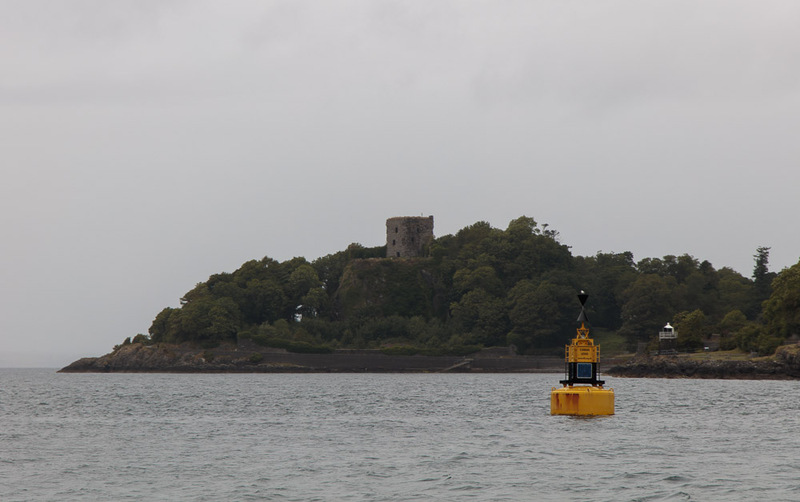 It began to drizzle as we left the harbour, passing Maiden Island and Dunollie Castle. Further out, is the Lismore lighthouse. 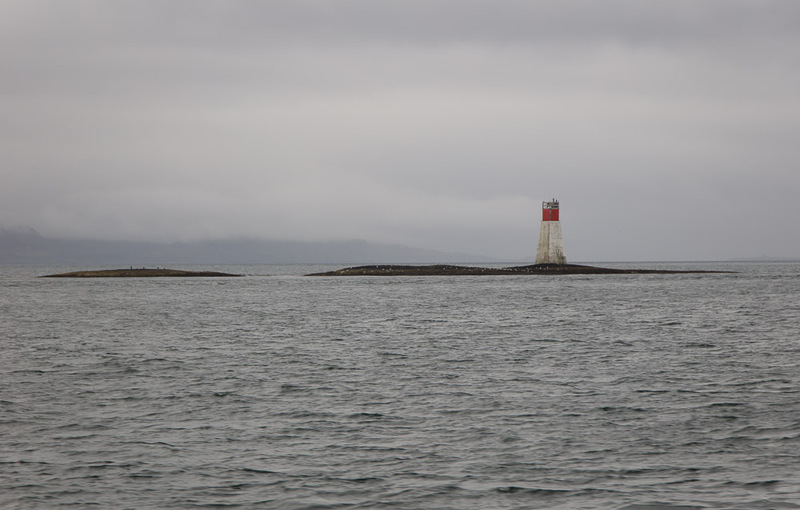 Lady’s Rock, a skerry (or small rock/island) southwest of Lismore, has an interesting history. It acquired its name because in 1527, Lachlan Maclean of Duart decided to murder his wife, Lady Catherine Campbell. He rowed her out to the rock one night at low tide and left her stranded on the rock to die. Looking out the next day from Duart Castle he could not see her so he sent a message of condolence to her brother, saying that he intended to bring his wife’s body to him for burial. Maclean arrived at Inveraray with an entourage of men and the coffin and discovered Lady Catherine waiting for him. at the head of the table. She had been rescued by a passing fishing boat. Maclean was later murdered in his bed in Edinburgh some time later by Lady Catherine’s brother. 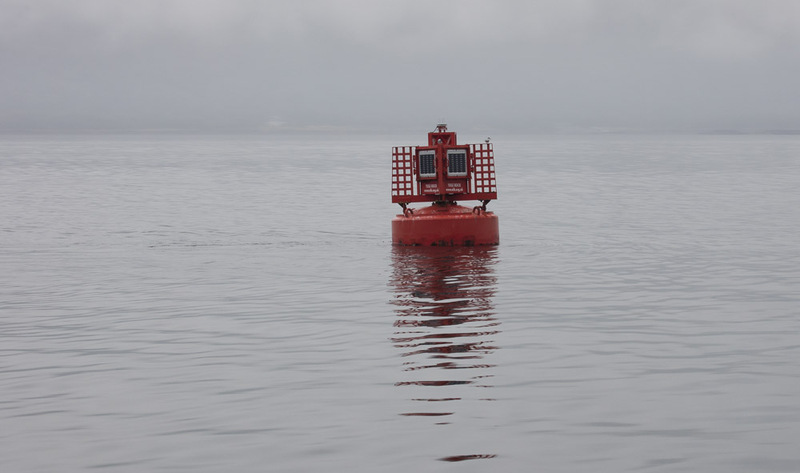 Later the mist in the Sound of Mull was an abstract grey nothingness punctuated occasionally by a red or green buoy. 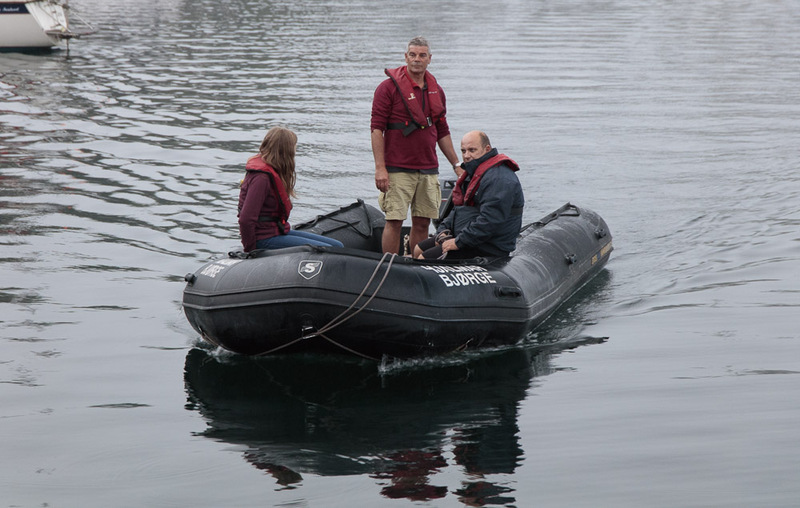 On arrival in Tobermory, our skipper informed us that oats had been omitted from the stores list, so he and a couple of crew members set off in the dinghy to find some so that we could have our porridge in the morning. 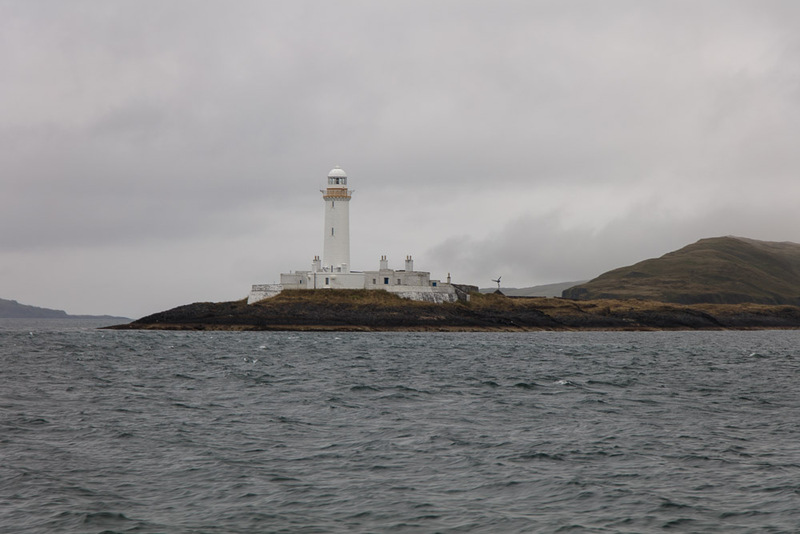 There was good spell of weather forecast followed by some storms a few days later so the skipper decided that we would head for St Kilda as quickly as possible. 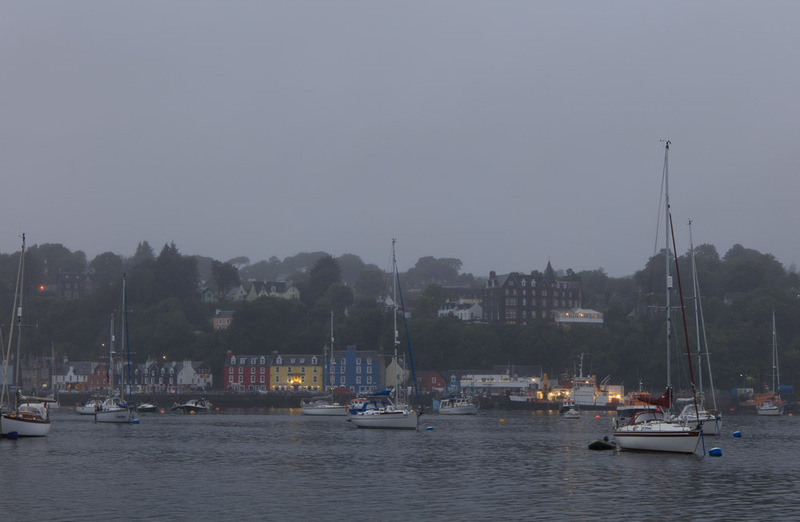 We did not have time to explore Tobermory that evening as in the morning we would be heading for Canna.